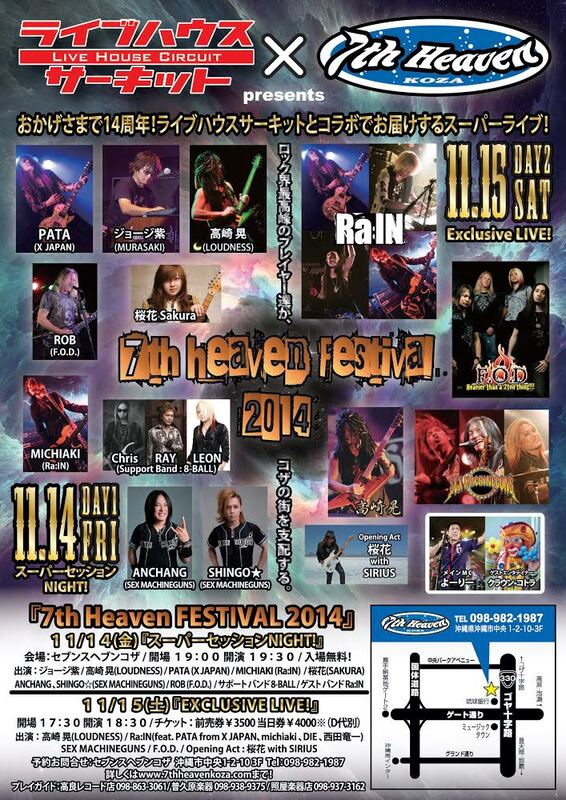 7th Heaven Koza 14th Year Anniversary Special Live! Doors open 17:30, show starts at 18:30. Tickets available exclusively through 7th Heaven until Oct. 17th. Session Band will be 8-Ball with Ray, Chris and Leon! 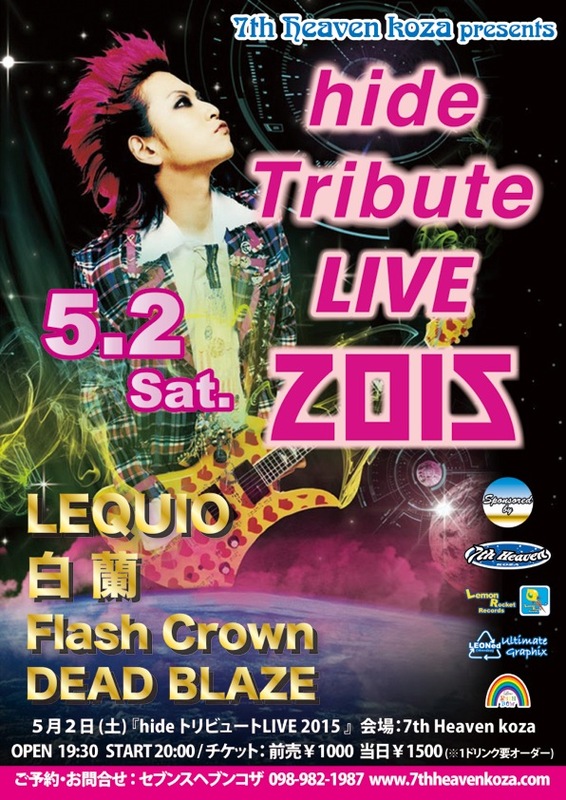 will play a short set!! Get your free tickets by lining up at 7th Heaven on 18:00 Nov.14th, or buy the ticket for the Nov.15th show(each purchase includes 1 free ticket for the 14th) going on sale on Sep. 21st. Tickets exclusively on sale through 7th Heaven only.